Since ancient times, Chinese astrologers have used animals to represent the signs of the zodiac. Each animal has its own character, which is reflected in the person born under that sign. The traditional Chinese calendar assigns a sign to each year, following a 12-year cycle. The Dragon represents the fifth position in the 12-year cycle of the Chinese zodiac. Years of the Dragon include: 2012, 2000, 1988, 1976, 1964, 1952, 1940, 1928, and 1916. The next Year of the Dragon will be 2024. Those born under the sign of the Dragon are lucky, dignified, and successful. They are unafraid of difficult situations and will not tolerate being controlled. Of all the animals in the Chinese zodiac, the Dragon is the most powerful. Gifted with courage and tenacity, Dragons are always up for a challenge. Although fiery and hotheaded at times, Dragons strive to fulfill their dreams and goals through peace and harmony. They are true to their beliefs but are mindful of not forcing their opinions on others. They are a lucky people, and those with Dragons in their lives often reap the benefits of that luck. Dragons can be hesitant to move forward with commitment, but when they do, their intention is to make that relationship last for life. They are kind and generous with their loved ones and are fierce defenders of those closest to them. In romantic relationships, Dragons are demonstrative with their love. They are devoted partners who will take extra care not to hurt the feelings of their loved ones. If you get involved with a Dragon, they will expect you to show your love as openly for them as they do for you. Most compatible signs: the Rat, the Tiger, and the Snake. Dragons are generally a healthy group. They may experience periods of moderate stress due to their love for rising to every challenge. Dragons in middle age should watch for problems concerning the liver, blood, and intestines. Young Dragons may have skin-related issues. Dragons benefit most from exercises that calm the body and mind, such as yoga, stretching, and meditative walking. With their fiery passion and boundless energy, Dragons are great leaders and innovators. They prefer careers that present them with challenges and risks. Anything that allows a Dragon to present their ideas and spread their wings is a perfect fit. Good career choices include: inventor, lawyer, stockbroker, and architect. - Wood (1904, 1964): stern, introverted, talented. - Fire (1916, 1976): successful, opportunistic, easygoing. - Earth (1928, 1988): smart, hardworking, ambitious. - Metal (1940, 2000): sincere, emotional, creative. - Water (1952, 2012): persistent, vigorous, willful. - Lucky colors: gold, silver, and hoary. - Lucky numbers: 1, 6, and 7. - Lucky flowers: bleeding heart vine, larkspur, and snapdragon. - Ruling months: April 5 through May 4. - Ruling hours: 7-9 a.m.
Nicolas Cage, wood; Sigmund Freud, fire; Charles Darwin, earth; John Lennon, metal; Vladimir Putin, water. The Ox represents the second position in the 12-year cycle of the Chinese zodiac. Years of the Ox include: 2009, 1997, 1985, 1973, 1961, 1949, 1937, 1925, and 1913. The next Year of the Ox will be 2021. The saying “stubborn as an ox” exists for a reason. However, Oxen see their stubbornness as persistence. 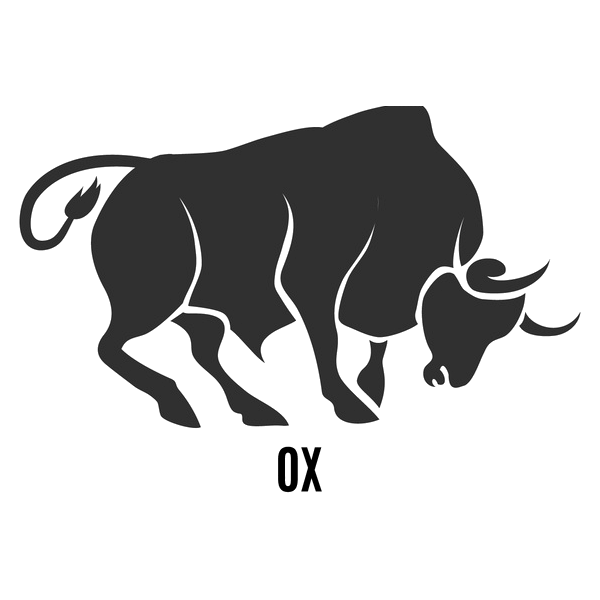 Like the animal that rules their sign, Oxen are strong and determined. They have major ambitions in life and value family and tradition. Oxen use their famous determination to achieve their goals and usually go far in life. The Ox is the most balanced and level-headed of the signs. Oxen are natural leaders with an unrivaled work ethic. They’re a cautious bunch and give situations serious thought before acting. When Oxen combine their logic and creativity, they can create some of the most beautiful and innovative works of art. Oxen treasure friendships and family. They only trust a handful of people throughout their lives, but if you’re one of the lucky, you’ll be hard-pressed to find a more loyal friend. However, tread carefully because if you lose an ox’s respect, you may never get it back. In romantic relationships, Oxen are loyal and faithful partners and prefer long-term relationships. If the relationship produces children, the Oxen will ensure their children are well-educated. Most compatible signs: the Rat, the Snake, and the Rooster. Oxen are naturally strong and hearty. They typically live long lives without major illnesses. Because of their unwavering work ethic, Oxen often completely immerse themselves in their work, ignoring stress and forgetting to eat. When pushed too hard, Oxen can experience intestinal problems. Adequate relaxation and a balanced diet makes for a healthy Ox. Oxen will work hard at whatever task they choose and will see a project through to the end. Oxen can also be creative and will find the solutions to problems that often elude others. They enjoy devising different ways to approach a task. Oxen have an eye for detail but are also able to see the big picture. Good career choices include: engineering, mechanics, agriculture and manufacturing. What Kind of Ox Are You? - Wood (1925, 1985): straightforward, decisive, protective. - Fire (1937, 1997): selfish, short-sighted, practical. - Earth (1949, 2009): prudent, honest, responsible. - Metal (1961, 2021): active, popular, hardworking. - Water (1913, 1973): tenacious, observant, enduring. - Lucky colors: red, blue, and purple. - Lucky numbers: 1 and 9. - Lucky flowers: evergreen, peach blossom, and tulip. - Ruling months: January 6 through February 3. - Ruling hours: 1-3 a.m.
Margaret Thatcher, wood; Sir Anthony Hopkins, fire; Meryl Streep, earth; Barack Obama, metal; Vincent Van Gogh, water. 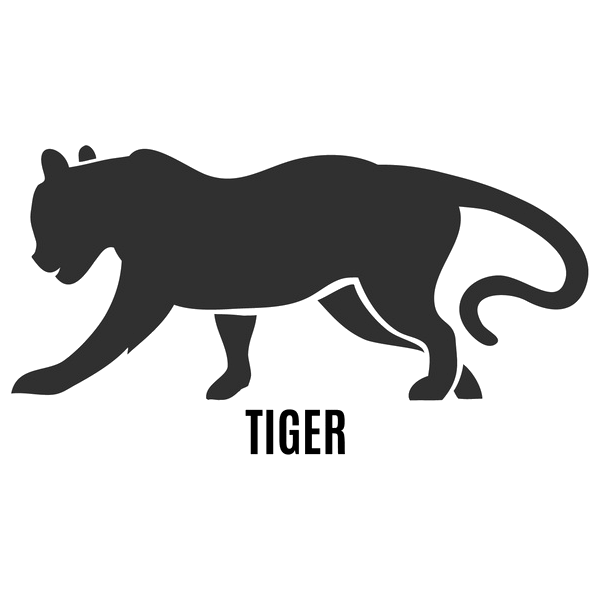 The Tiger represents the third position in the 12-year cycle of the Chinese zodiac. Years of the Tiger include: 2010, 1998, 1986, 1974, 1962, 1950, 1938, 1926, and 1914. The next Year of the Tiger will be 2022. Those born under the sign of the Tiger are brave, powerful, and competitive. Tigers are charming and well-liked but occasionally appear arrogant because they like to toot their own horns when they accomplish something. The have strong personalities and express themselves boldly. Tigers are trustworthy and never go back on their word. Although short-tempered at times, Tigers are primarily tolerant people. Rather than take time to prepare, Tigers prefer to fly by the seat of their pants. When faced with unexpected situations, Tigers always come out on top. Fierce protectors, they defend themselves and their loved ones to the death. Tigers will walk through fire for something in which they believe. Tigers are trustworthy, but their occasional unpredictability will keep you on your toes. Tigers are most comfortable being dominant in personal relationships. Communicating with others is not their strong suit, so Tigers will often have several acquaintances but few close relationships. To make friends with a Tiger, you must treat them with tact and respect. In romantic relationships, Tigers’ undying support in whom they choose will make up for their lack of romance. They prefer to demonstrate their love rather than use mere words. Energetic and adventurous, they need a partner who can keep up with them. Most compatible signs: the Dragon, the Horse, and the Pig. Tigers are active people and maintain their health by playing sports. They rarely come down with common illnesses, such as coughs and colds. Tigers are prone to physical injuries and must take care to warm up before strenuous exercise. Aerobic exercises are perfect for Tigers. Tigers are suited to any career that affords them a position of leadership. They make effective managers and are well-respected by people under their supervision. Tigers tend to flounder a bit in their early years but find their direction in their 30s. Good career choices include: actor, writer, pilot, and office manager. What Kind of Tiger Are You? - Wood (1914, 1974): self-righteous, open, compassionate. - Fire (1926, 1986): talented, independent, optimistic. - Earth (1938, 1998): ambitious, proud, enterprising. - Metal (1950, 2010): considerate, peaceful, enthusiastic. - Water (1962, 2022): self-confident, curious, artistic. - Lucky colors: gray, blue, white, and orange. - Lucky numbers: 1, 3, and 4. - Lucky flowers: cineraria and anthurium. - Ruling months: February 4 through March 5. - Ruling hours: 3-5 a.m. The Snake represents the sixth position in the 12-year cycle of the Chinese zodiac. Years of the Snake include: 2013, 2001, 1989, 1977, 1965, 1953, 1941, 1929, and 1917. The next Year of the Snake will be 2025. 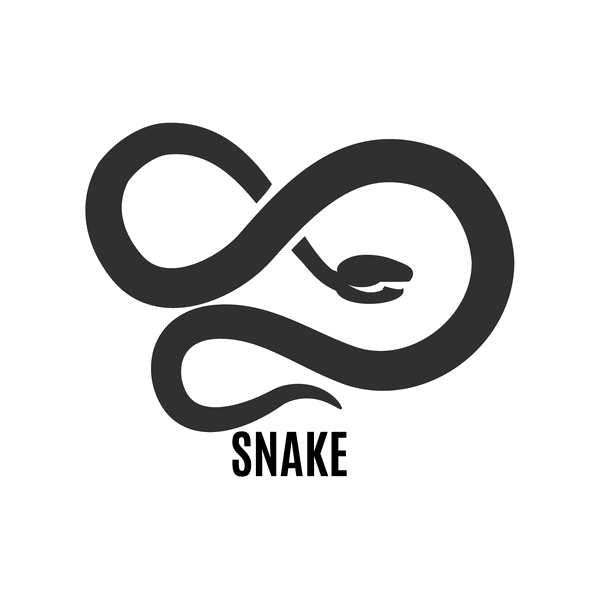 Snakes represent wisdom, and people born under this sign embody this trait to the fullest. One of the most intuitive signs, Snakes see things as they truly are. Once they turn on their inherent charm and charisma, the rest of us seem powerless to resist. Snakes appreciate the finer things and have been known to “keep up with the Joneses.” While they enjoy accumulating possessions, Snakes tend to be less than enthusiastic when it comes to shopping for them. Although kind and considerate, Snakes won’t forget if you cross them. They’ll lie in wait and strike when least expected. People under this sign have a discerning nature. They have a small number of close friends, sacrificing quantity for quality. Although known more for being philosophers, Snakes can also become the life of the party when the mood strikes. Forming a friendship with a Snake can be difficult at first, but if you hang in there, you’ll be rewarded with a friend for life. In romantic relationships, Snakes prefer the “slow burn.” They seek those content with building deep, meaningful relationships. Romantics at heart, Snakes enjoy surprising their loved ones with thoughtful gestures and gifts. Most compatible signs: the Dragon and the Rooster. Snakes prefer peace and quiet. They become easily stressed in noisy, chaotic environments. Quick to jump headfirst into projects, Snakes are prone to overextending themselves. If you have a Snake in your life, keep an eye on them. They will often push themselves to the point of exhaustion. Snakes are creative, dedicated, and are skilled problem solvers. They have a keen eye for business dealings and will go “all in” when they find a worthy project. Snakes prefer to work alone and thrive under tight deadlines. They often need help balancing work with relaxation. You may have to force them to take that much-needed vacation. Good career choices include: artist, scientist, investigator, and astrologer. - Wood (1905, 1965): artistic, organized, refined. - Fire (1917, 1977): insightful, communicative, attention-loving. - Earth (1929, 1989): self-disciplined, calm, determined. - Metal (1941, 2001): confident, courageous, commanding. - Water (1953, 2013): creative, clever, sentimental. - Lucky colors: black, red, yellow. - Lucky numbers: 2, 8, 9. - Lucky flowers: orchid and cactus. - Ruling months: May 5 through June 5. J. K. Rowling, wood; John F. Kennedy, fire; Mahatma Gandhi, earth; Pablo Picasso, metal; Mao Zedung, water. 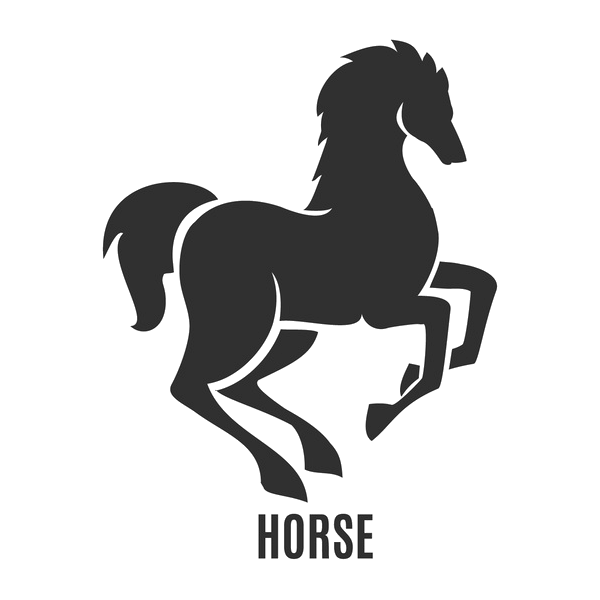 The Horse represents the seventh position in the 12-year cycle of the Chinese zodiac. Years of the Horse include: 2014, 2002, 1990, 1978, 1966, 1954, 1942, 1930, and 1918. The next Year of the Horse will be 2026. Those born under the sign of the Horse are warmhearted, dynamic, and generous. They’re extremely animated and thrive in crowded environments, such as concerts, sporting events, and parties. They seem to draw their energy from the crowd. Horses are witty and love to take center stage. It’s unsurprising that they’re usually surrounded by large groups of friends. Although somewhat self-centered at times, the Horse’s love for entertaining people makes up for it. They have a magnetism that draws people to them like a moth to the flame. They have an optimistic nature, but the honest Horse will be the first to admit failure. Horses are pleasant and easygoing. They have a knack for using humor to put others at ease. Horses are very intuitive and will often complete people’s sentences before they can finish what they were going to say. Horses’ animated personalities have people lining up to be their friends. In romantic relationships, Horses make great partners. Attentive and considerate, they have a gift for making others feel special. If you’re in a relationship with a Horse, you’ll never be left wondering how much you mean to them. Most compatible signs: the Tiger, the Sheep, and the Rabbit. Horses are a hale and robust group. Their positive outlook on life helps keep them healthy. Because Horses love to expend their energies at parties and always seem to be “on,” they can eventually crash and burn. Horses need rest just like everyone else. They just need a little convincing sometimes. Horses excel in jobs involving communication with others. Horses aren’t fond of taking orders from others but make good leaders. They’re especially adept at decision-making. Horses are extroverts and need human interaction. They don’t do well in solitary or isolated work environments. Good career choices include: communications, sales, journalism, and the performing arts. - Wood (1954, 2014): insightful, sentimental, decisive. - Fire (1906, 1966): passionate, charismatic, fashionable. - Earth (1918, 1978): kindhearted, optimistic, helpful. - Metal (1930, 1990): straightforward, calm, popular. - Water (1942, 2002): giving, reliable, charming. - Lucky colors: brown, yellow, and purple. - Lucky numbers: 2, 3, and 7. - Lucky flowers: calla lily, jasmine, and marigold. - Ruling months: June 6 through July 6. - Ruling hours: 11 a.m. to 1 p.m.
Jackie Chan, wood; Kiefer Sutherland, fire; Nelson Mandela, earth; Vladimir Lenin, metal; Stephen Hawking, water. 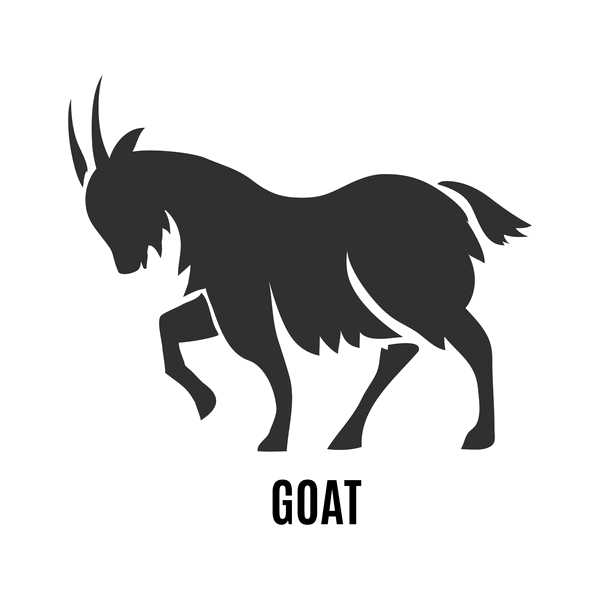 The Goat represents the eighth position in the 12-year cycle of the Chinese zodiac. Years of the Goat include 2015, 2003, 1991, 1979, 1967, 1955, 1943, 1931, and 1919. The next Year of the Goat will be 2027. Those born under the sign of the Goat are clever, polite, and kindhearted. They don’t like to be the center of attention. Despite their shy appearance, Goats are strong and resilient and won’t hesitate to assert themselves. They are the first to point out an injustice and will fight for what is fair. Goats are fashionable and appreciate anything beautiful and artistic. Goats have a strong sense of truth and may turn stubborn if challenged. Although social in large groups, Goats are happy to spend time with their own thoughts. Goats are private, and it may take some time to get to know them. Goats rarely share of their personal lives and usually have a small group of close friends. Once a Goat lets you in, the friendship will be peaceful and emotionally rewarding. In romantic relationships, Goats work hard for their partners. They are completely devoted and have an unlimited reserve of empathy. Goats don’t go for grand displays of love, but their quiet and focused attention on their partners is unrivaled. Most compatible signs: the Horse, the Rabbit, and the Pig. People born in the Year of the Goat are calm and have fewer health problems due to a lack of stress. When in good spirits, it reflects on their physical health. Goats should focus on fresh produce and refrain from eating red meat. Communing with nature is one of the most beneficial things a Goat can do for their health. Maintaining a regular eating schedule and keeping a consistent sleep regimen makes for a happy Goat. Goats prefer working in teams. They are not natural leaders and will rarely volunteer for anything having to do with authority or power. Goats are great at finishing projects that others leave undone. They are affable coworkers and excel when they have room to create. Good career choices include: actor, musician, hair stylist, and interior designer. What Kind of Goat Are You? - Wood (1955, 2015): gentle, compassionate, sympathetic. - Fire (1907, 1967): honest, amicable, sentimental. - Earth (1919, 1979): outspoken, righteous, just. - Metal (1931, 1991): ambitious, responsible, kindhearted. - Water (1943, 2003): artistic, sacrificing, helpful. - Lucky colors: green, red, and purple. - Lucky numbers: 2 and 7. - Lucky flowers: carnation, alyssum, and primrose. - Ruling months: July 7 through August 6. - Ruling hours: 1-3 p.m.
Bill Gates, wood; Thomas Edison, fire; Pink, earth; Archbishop Desmond Tutu, metal; Mikhail Gorbachev, water. 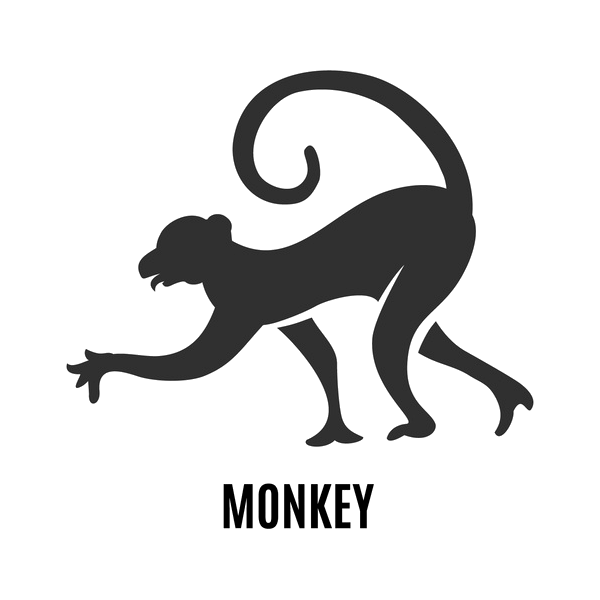 The Monkey represents the ninth position in the 12-year cycle of the Chinese zodiac. Years of the Monkey include 2016, 2004, 1992, 1980, 1968, 1956, 1944, 1932, and 1920. The next Year of the Monkey will be 2028. Those born under the sign of the Monkey are honest, clever, and quick-witted. They are curious and mischievous and love pranks and practical jokes. Monkeys are a very active and reactive bunch. They exude magnetism, and others can’t help wanting to be their friends. Monkeys love a good mystery and will ask repeated questions until they solve it. They have great admiration for intelligent people like themselves. Monkeys are great debaters and will always win an argument. They need to have the final say in everything whether through using their wisdom or their impish senses of humor. Monkeys are natural jokers and need friends who enjoy a good prank. Monkeys are very social and love to talk, so they are easy to get to know. If you have a Monkey as a friend, they will lift your spirits and keep you laughing. In romantic relationships, Monkeys are slow to settle down. They get bored easily and like to jump around a bit before committing. Once Monkeys find the right partner, however, they will commit to that person in every way. If a sense of humor is something you look for in a partner, there is no one more apt than a Monkey. Most compatible signs: the Ox and the Rabbit. People born in the Year of the Monkey are very healthy due to their activity level. Monkeys push themselves and must remember to take regular breaks. They love outdoor activities but must be mindful of safety, especially when traveling. When Monkeys do experience a health issue, it’s usually an illness of the circulatory or nervous system. Monkeys are hard workers and adapt well to changing work environments. They are the best multitaskers of the signs. Monkeys continuously amaze coworkers at how much they can get done in a short amount of time. Good career choices include: scientist, stockbroker, engineer, and air traffic controller. - Wood (1944, 2004): compassionate, active, lofty. - Fire (1956, 2016): ambitious, industrious, passionate. - Earth (1908, 1968): fearless, down-to-earth, optimistic. - Metal (1920, 1980 ): decisive, crafty, confident. - Water (1932, 1992): intelligent, vivacious, quick-witted. - Lucky colors: white, gold, and blue. - Lucky numbers: 1, 7, and 8. - Lucky flowers: allium and chrysanthemum. - Ruling months: August 7 through September 7. - Ruling hours: 3-5 p.m.
George Lucas, wood; Tom Hanks, fire; Oskar Schindler, earth; Pope John Paul II, metal; Leonardo da Vinci, water. The Rooster represents the tenth position in the 12-year cycle of the Chinese zodiac. Years of the Rooster include 2017, 2005, 1993, 1981, 1969, 1957, 1945, 1933, and 1921. The next Year of the Rooster will be 2029. 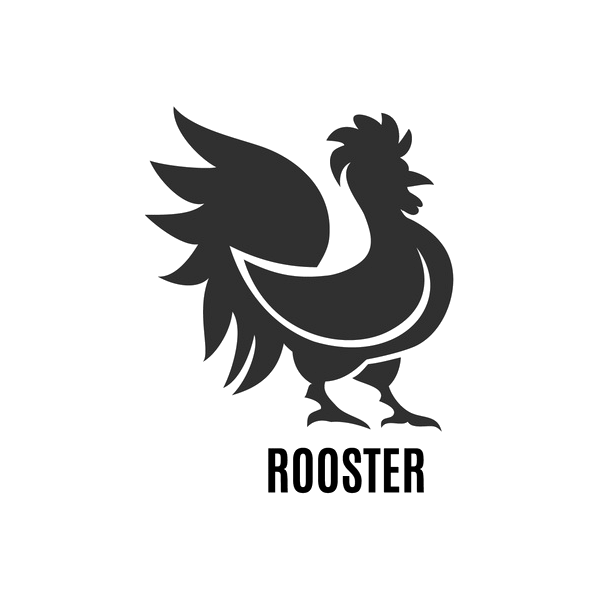 Those born under the sign of the Rooster are intelligent, independent, ambitious, and communicative. Roosters are generally attractive and enjoy preening and dressing up to look their best. This is not to say that they are shallow or arrogant; they are actually quite a compassionate and warmhearted bunch. Roosters are talkative, open, and honest individuals. They are happiest when surrounded by others at a social gathering. They like to be the center of attention and are perfectly content providing the element of entertainment at parties. Roosters do like to boast but will also be the first to congratulate others on their accomplishments. Roosters make loyal and devoted friends. They have great senses of humor and love to make their friends laugh. They don’t like to compete for the spotlight and, therefore, do not get along well with other Roosters. In romantic relationships, Roosters are proud of their partners and love to show them off. For this reason, Roosters don’t make good matches for shy people. A Rooster will always tend to his or her appearance. If you enter into a relationship with one of these proud people, it is bound to be a fun and interesting time. Most compatible signs: the Ox and the Snake. People born in the Year of the Rooster are especially healthy. They have a natural resistance to physical disease but are susceptible to stress and moodiness. If a Rooster does contract an illness, they will fight it off and bounce back quickly. Perfect outdoor activities for Roosters are hiking and swimming. Roosters are the most motivated of the signs. They make their career a priority. Roosters are multitalented and excel at a variety of jobs. They do best working independently where they can assume all the credit. Because they are so hard working, Roosters make exceptionally dedicated employees. Good career choices include: athlete, police officer, journalist, and restaurateur. - Wood (1945, 2005): family-oriented, energetic, funny. - Fire (1957, 2017): trustworthy, frugal, responsible. - Earth (1909, 1969): generous, popular, perceptive. - Metal (1921, 1981): logical, determined, resilient. - Water (1933, 1993): compassionate, intelligent, artistic. - Lucky colors: gold, brown, and yellow. - Lucky numbers: 5, 7, and 8. - Lucky flowers: gladiola, impatiens, and cockscomb. - Ruling months: September 8 through October 7. - Ruling hours: 5-7 p.m.
Bob Marley, wood; Martin Luther King III, fire; Errol Flynn, earth; Beyonce Knowles, metal; Yoko Ono, water. 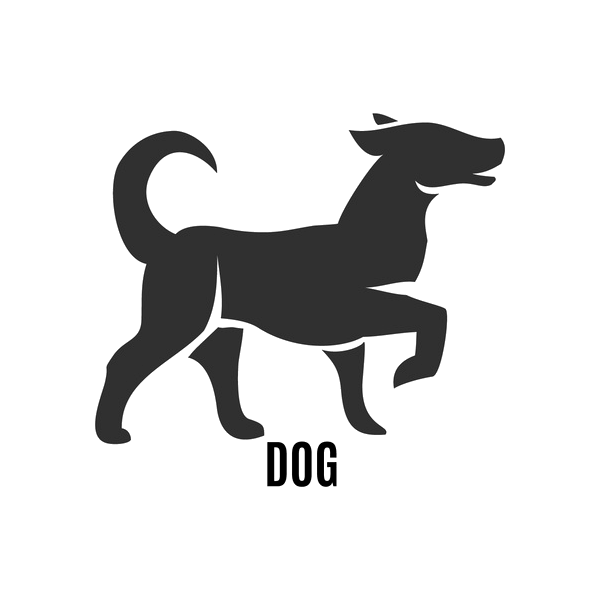 The Dog represents the eleventh position in the 12-year cycle of the Chinese zodiac. Years of the Dog include 2006, 1994, 1982, 1970, 1958, 1946, 1934, and 1922. The next Year of the Dog will be 2018. Those born under the sign of the Dog are independent, courageous, valiant, and loyal. They will do everything they can for the people most important to them. They are not the best communicators, which can make them appear stubborn. Dogs are good-natured and are usually upstanding citizens. Dogs have a strong sense of justice and will generally play by the rules. They are eager to help others and rarely think of their own needs. If someone betrays this kindness, however, it will hurt the Dog deeply and that person will be cut out of the Dog’s life for good. Dogs are cautious and conservative, and this causes them to take their time getting to know others. Once they form a friendship, they will be faithful and loyal to that person. They would rather suffer in silence than potentially make trouble for others, so, if you have a misunderstanding with a Dog, it may be up to you to figure it out. In romantic relationships, Dogs are slow to fall in love. Once they decide to take that leap, they make loyal and faithful partners. While Dogs can have romantic ups and downs, they ultimately seek a quiet life, a dedicated partner, and the security of a loving family. Most compatible sign: the Rabbit. People born in the Year of the Dog are active and typically enjoy sports. Their inherent happiness and avoidance of stressful situations help to keep them healthy. Dogs are susceptible to coughs, colds and fevers. Proper exercise and plenty of rest will help keep a Dog in top physical condition. Due to their loyalty, Dogs make valuable employees. They tend to choose careers focused on serving others. Dogs make kind and easygoing coworkers. They are usually popular in the workplace because they seek to pitch in and lessen the workloads of others. Good career choices include: counselor, professor, nurse, and judge. - Wood (1934, 1994): considerate, reliable, just. - Fire (1946, 2006): cautious, sincere, intelligent. - Earth (1958, 2018): attentive, serious, persistent. - Metal (1910, 1970): accommodating, desirable, conservative. - Water (1922, 1982): brave, responsible, financially successful. - Lucky colors: red, green, and purple. - Lucky numbers: 3, 4, and 9. - Lucky flowers: rose and cymbidium orchids. - Ruling months: October 8 through November 6. - Ruling hours: 7-9 p.m.
Winston Churchill, wood; Alan Rickman, fire; Michael Jackson, earth; Mother Teresa, metal; Catherine, Duchess of Cambridge, water. 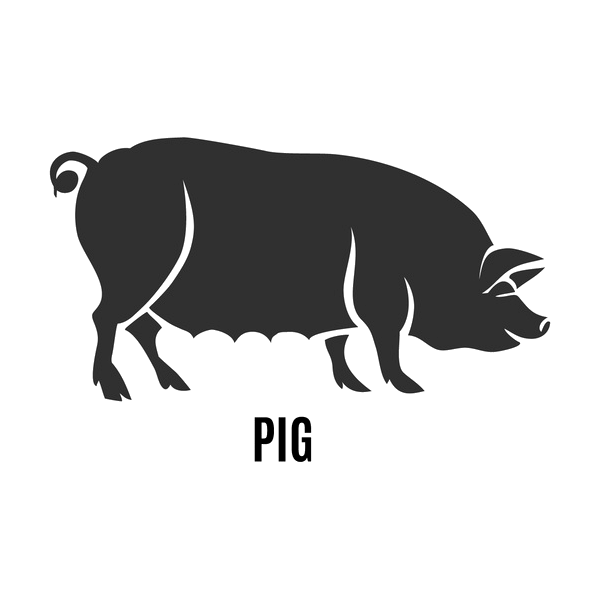 The Pig represents the twelfth position in the 12-year cycle of the Chinese zodiac. Years of the Pig include 2007, 1995, 1983, 1971, 1959, 1947, 1935, and 1923. The next Year of the Pig will be 2019. Those born under the sign of the Pig are generous, loyal, and moral. The term “pig-headed” certainly applies to their stubbornness, but that’s usually only when refusing help from others; Pigs like to accomplish things on their own. They are a warm-hearted people and are gentle when dealing with others. Pigs are truth seekers and will tell it like it is. They also expect honesty in return. Pigs have a knack for concentration and will always follow through on their commitments regardless of how difficult a situation or task may be. Pigs’ honesty and sincerity make them popular in social circles. They value relationships and will never betray their friends. As long as you are honest with a Pig, you will have a friend for life. If you lie to them once, they will never completely trust you again. In romantic relationships, Pigs are amorous and affectionate. Once they find the right partner, they are committed for life. If you want to be in a relationship with a Pig, you must be open and honest at all times. They especially do well with partners who are intuitive and can seem to read their thoughts. Most compatible signs: the Tiger, the Rabbit, and the Goat. People born in the Year of the Pig typically remain healthy as long as they avoid vices, such as overeating, drinking to excess, and smoking. Although these activities adversely affect everyone, Pigs are the most susceptible to diseases relating to these things. They particularly benefit from clean living. Pigs are very social, so they do well when working on team projects. They bring their generous creativity to the table and aren’t afraid to try new things and approaches. Pigs usually enjoy a wealthy lifestyle from their chosen careers. Because of their strong-mindedness, they succeed in difficult areas where others may give up. Good career choices include: medicine, entertainment, retail, and hospitality. - Wood (1935, 1995): generous, honest, brave. - Fire (1947, 2007): persevering, ambitious, impatient. - Earth (1959, 2019): social, communicative, punctual. - Metal (1911, 1971): helpful, frank, broad-minded. - Water (1923, 1983): serious, gentle, modest. - Lucky colors: yellow, gray, brown, and gold. - Lucky numbers: 2, 5, and 8. - Lucky flowers: hydrangea and marguerite daisy. - Ruling months: November 7 through December 6. - Ruling hours: 9-11 p.m.
Elvis Presley, wood; Hillary Clinton, fire; Emma Thompson, earth; Ronald Reagan, metal; Henry Ford, water. 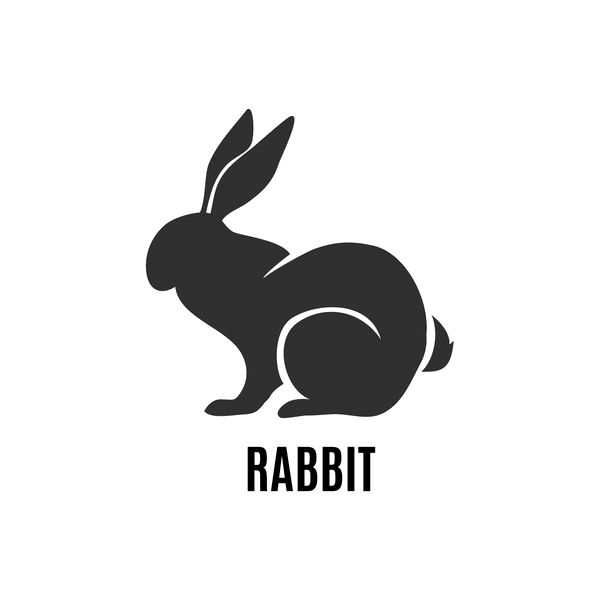 The Rabbit represents the fourth position in the 12-year cycle of the Chinese zodiac. Years of the Rabbit include 2011, 1999, 1987, 1975, 1963, 1951, 1939, 1927, and 1915. The next Year of the Rabbit will be 2023. Those born under the sign of the Rabbit are compassionate, graceful, and sensitive. They are likeable and love everyone and everything in return. Like the animal that rules their sign, Rabbits are cautious, tender, and slow to anger. They create a calm and peaceful atmosphere wherever they go. Rabbits have the biggest hearts of all the signs and will tend to anyone with a wounded body, mind, or soul. They will give their last penny to the needy. Although loving with others, Rabbits have a tough time with self-love and may need some reassurance. Rabbits are popular due to their gentle and considerate natures. They use their senses of humor to diffuse arguments and turn enemies into friends. Rabbits are giving and, therefore, can be taken advantage of. If you’re friends with a Rabbit, make sure you show them your appreciation. In romantic relationships, Rabbits can be demanding, but it’s only because they are so giving of themselves. It can be difficult to know their true feelings due to their cautious and reserved natures. Honoring their heart and remaining open and communicative with your Rabbit goes a long way. Most compatible signs: the Goat, the Monkey, the Dog, and the Pig. People born in the Year of the Rabbit are healthy overall but are particularly sensitive to colds. They should maintain a healthy diet and exercise regimen to stave off infections. In dryer climates, Rabbits are cautioned to drink plenty of fluids as they are prone to dehydration and dry skin. Rabbits are the most easygoing coworkers to have. As supervisors, they are able to manage everything to everyone’s satisfaction. Rabbits are patient when teaching others a skill and are quick to help others achieve their goals. They may need an occasional morale boost when working on a long or difficult project. Good career choices include: educator, health care worker, judge, and politician. What Kind of Rabbit Are You? - Wood (1915, 1975): lively, calculating, quick-witted. - Fire (1927, 1987): open-minded, smart, insightful. - Earth (1939, 1999): ambitious, straightforward, successful. - Metal (1951, 2011): conservative, pleasant, enthusiastic. - Water (1963, 2023): agreeable, gentle, adaptable. - Lucky colors: red, blue, pink, and purple. - Lucky numbers: 3, 4, and 6. - Lucky flowers: jasmine and plantain lily. - Ruling months: March 6 through April 4. - Ruling hours: 5-7 a.m.
Tiger Woods, wood; Cesar Chavez, fire; Albert Einstein, earth; J.R.R. Tolkien, metal; Brad Pitt, water. The Rat represents the first position in the 12-year cycle of the Chinese zodiac. Years of the Rat include 2008, 1996, 1984, 1972, 1960, 1948, 1936, 1924, and 1912. The next Year of the Rat will be 2020. Those born under the sign of the Rat are alert, instinctive, and cautious. 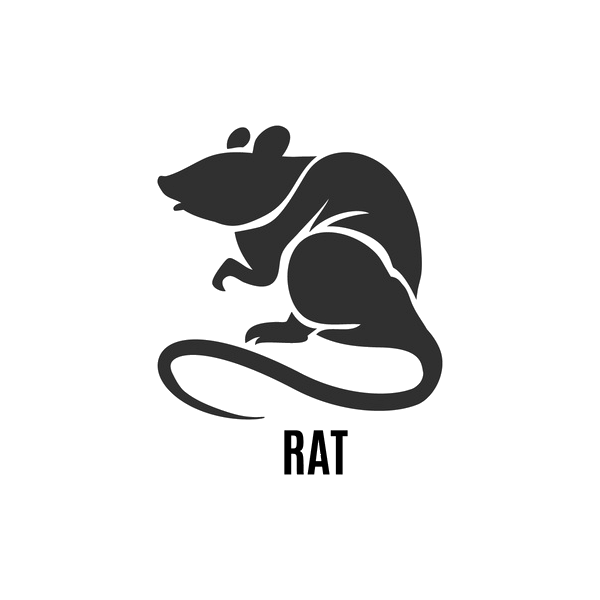 Rats are the most adaptable of the signs and can fit into any situation or social group. They are curious creatures with keen observational skills. You can count on a rat to be sophisticated and proper in social situations. Just don’t expect them to socialize early in the morning; they tend to be late sleepers. Rats are a kind people but can occasionally appear impolite. This is usually because they are so focused on something that their vision narrows to that one thing. Rats are highly intellectual and tend to be perfectionists. When it comes to projects and plans, they are the masterminds. Rats are active and enjoy social situations. They are incredibly charming and attract new friends easily but often neglect to further their relationships with others. Rats have a tight inner circle and are fiercely loyal to those closest to them. In romantic relationships, Rats are comfortable in new unions. They can have a suspicious and jealous nature, but if you earn a Rat’s trust through loyalty and fidelity, you will have a partner for life. 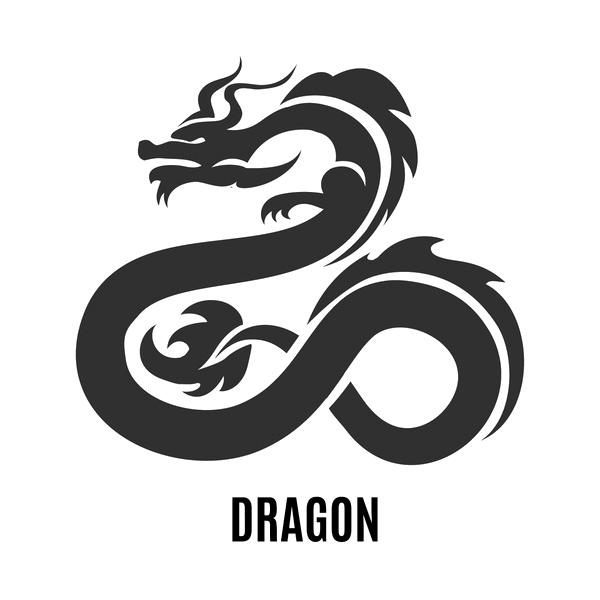 Most compatible signs: the Ox, the Rabbit, and the Dragon. People born in the Year of the Rat are generally healthy. They are active and energetic, which helps to keep them fit. Regular exercise and a balanced diet will keeps Rats functioning at maximum health. In dry climates, Rats are prone to skin and respiratory issues. Taking time to de-stress will help keep a Rat emotionally and physically healthy. Rats are insightful and make good judgments in career choices. They are meticulous and approach work with a serious attitude. Rats work well within a group but excel when working independently. You can rely on a Rat to make a confident leader. Good career choices include musician, comedian, entrepreneur, and lawyer. What Kind of Rat Are You? - Wood (1924, 1984): virtuous, independent, talented. - Fire (1936, 1996): energetic, clever, brave. - Earth (1948, 2008): modest, adaptable, serious. - Metal (1960, 2020): hot-tempered, intelligent, sensitive. - Water (1912, 1972): shrewd, wise, talkative. - Lucky colors: gold, blue, and green. - Lucky numbers: 2 and 3. - Lucky flowers: lily and African violet. - Ruling months: December 7 through January 5. - Ruling hours: 11 p.m. - 1 a.m. Prince Harry, wood; Pope Francis, fire; Ozzy Osbourne, earth; John F. Kennedy, Jr., metal; Eva Braun, water.